Time for yet another episode of the weekend dig but what gets covered (or should I say unearthed) this time? Who knows! That's the beauty of this little corner of BEYOND SIGHT AND SOUND...you just never know what is going to be covered or where the topics will lead.lol In the last couple of weeks we've touched on topics such as Groundhogs, Radios, weather, finds, and still manage to fit in some shop talk, contests, and other things. Speaking of contests we are still taking entries ... Maggiori informazioni for the detecting / fishing giveaway so if you haven't got your entry yet be sure to give us a call and see if you can get entered! 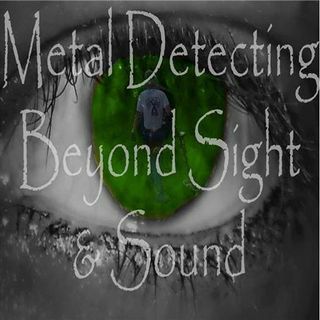 Also catch an update on the new BEYOND SIGHT AND SOUND radio Facebook page! See you there!